You Still Don’t Own a Sega CD? The CD based add-on connected to the Core unit through connections to the extension bay and drew power from its own AC adaptor. The CD based format allowed for additional space (from 24 to 500MB) and introduced new sound channels including the higher quality PCM and CD redbook audio. 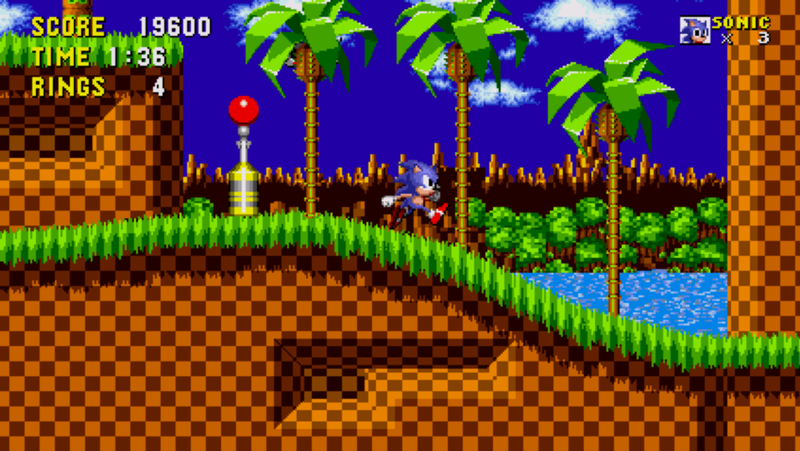 The system allowed for additional graphical techniques including scaling and rotating that would compete with the basic functionalities of the SuperFX chip found in several Super Nintendo carts. FMV games introduced the Cinepak codec that would provide video compression primarily used for live-action video. Sega would continue to use the codec up until the middle of the lifespan of the Sega Saturn. It wasn’t entirely fool proof, but for the most part the codec fared well for the otherwise slow 1x speed (800ms) of the internal laser. Users could make use of the built in CD player for playback of audio soundtracks, which were amplified with the ability to attach stereo speakers to your Mega Drive system for karaoke or just blaring out the rocking 16-bit synthesizer. For saving progress, each Sega CD unit had 64kb of internal back up RAM, or could purchase an Back-Up RAM Cart that would fit into the Mega Drive/Genesis cartridge slot for 1MB of RAM. The CD storage brought more cinematic experiences to Sega's console that would not be possible otherwise. Full Motion Video became a big proponent for the system which would showcase B-list movie actors and celebrities. The lion’s share would be released by Digital Pictures, including their most notable landmark, Night Trap. A number of games would rely on precise control, in that hitting a button at the right time would trigger an action, similar to Dragon’s Lair. 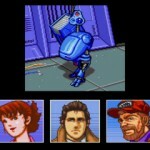 (This also appeared on the Sega CD!) Most, if not all of the titles fail to stand up overtime, but there would be no shortage of FMV titles to follow after the success of Night Trap including Double Switch, Ground Zero Texas, Slam City with Scottie Pippen, and more. Night Trap sold over a million units despite it's controversy of violence and sexual content. 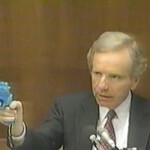 The realism conveyed from these games, along with Mortal Kombat and Lethal Enforcers would breach the safety net of realism that triggered senate hearings that begged the question of how regulation would involve Government mandating or industry-self contained methods. It was so severe that Night Trap was pulled from store shelves before a decision was even met. Very few games would be exclusively home to the system, including the officially unofficial sequel to the Amiga hit Another World; Heart of the Alien, the cute-em-up shooter Keio Flying Squadron, even Sega’s attempt to create a new, successful mascot character with Wild Woody. As a result, the idea of “More” only brought upon little success for the system. Bringing upon consumer confusion as to what the next, definitive hardware would be from Sega. The 32X only brought upon more confusion, as well as a handful of 32X ‘enhanced’ Sega CD games that only required the unit to be plugged in, with the CD in the tray. Oddly enough the only games that would feature these enhanced versions were FMV games. 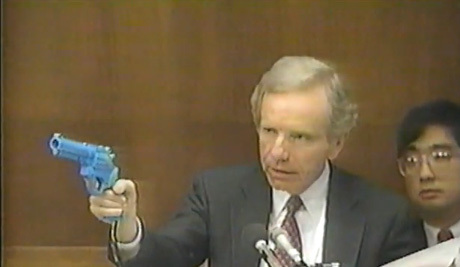 A menacing politician holds a Menacer against the industry menace. Not even halfway through the lifespan were the limitations of hardware so apparent with the release of the 3DO, Phillips CDi, Jaguar as well as computer platforms that came out at the time. The add-on’s performance in the market was enough for Nintendo to break their ties with Sony as they were working on a CD based add-on for the Super NES which would later form the Playstation. Despite the Mega CD’s performance the peripheral would last up until 1995 and would only help build a path that has since become an industry standard; disc based storage. 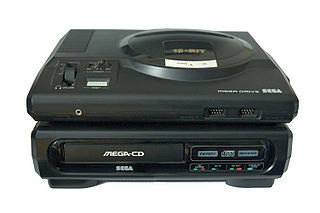 While the system hasn’t lived on through an en masse of Mega Drive ROMs Sega routinely puts out, most Mega CD games would see a home on other systems either during or after the lifespan of the hardware from PC systems up to the Playstation, with additional features and less compromises imposed by the Sega CD hardware. The Sega Mega CD was truly ahead of its time and the games suffered in terms of profitability, but the harsh gamble would help pave way to the future of the industry that would help extend the efforts of developers and hardware manufacturers for years to come. I had one wayyy back in the nineties. Salvation army got a hold of it </3. Need to pick one up again soon! The article is meant to serve as a retrospective for when it came out. At that time, Megamix didn’t even exist! Oh good ole Night Trap, where would the world be without you? Interesting bit o’ history here. Back in the 5th Generation of consoles, Sony recently created the PlayStation after splitting from a collaboration with Nintendo and preceded to split the market with them over disk and cartridge games. Sega adapted to fit either side, but right before the demise of the Dreamcast, they sided with the disk design and helped Microsoft produce the Xbox (this explains the unwieldy Dreamcast-like controller upon release). Microsoft would never admit to it, but we still have a little bit of Sega left in the 7th Generation. Doesn’t the Kinect remind you of the Activator Ring for the Sega Genesis? I still have my original Mega CD. It’s taken a beating over the years. Despite owning one since they were released I didn’t get a copy of Sonic CD until 1998. I was too young to afford it when it came out and by the time I got a bit older it was hard to find a copy before the days of eBay. There’s one sitting in my closet right now, but the load times are terrible and the fmv usually skips, of the laser won’t even read most of the discs. All they need to do is bring Snatcher to iOS (or any platform, really) and I’ll have no legal need for one since I got the new Sonic CD. 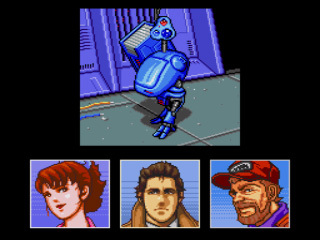 If they were to port Snatcher, the only thing stopping a rerelease, if they were to use the Sega CD version would likely be the voice actors as they would have to pay them royalties. That depends on the contracts between the actors and Konami of course. Stranger things have happened. But something happened. Sega kept adding, and creating all these peripherals that were just that . . . peripheral. Unimportant. It wasn’t long before I became a Nintendophile at the end of 1996, when I received N64 for Christmas. It wasn’t until recently that I rediscovered my love of the blue guy. It was just such that the schism was so rough. 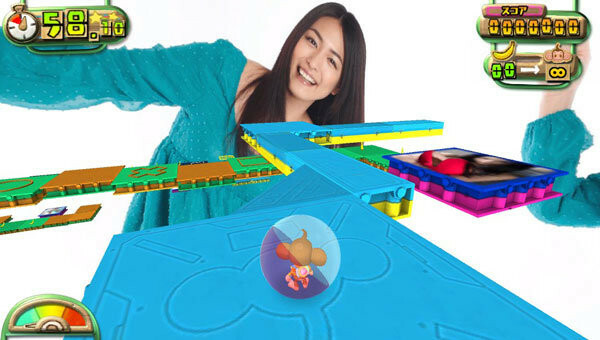 I always wanted Sega to be right there with Nintendo, matching it at every step. When they couldn’t, I had to move on. Of course, I was 10 in 1996, but man, the pain was real! I hope to God you’re referring to the SNES and not the N64. Because the N64 was really awful. Not even a word about the others fantastic RPGs of this machine ? Shining Force CD ? Popful Mail ? And what about the Shmups ? I still own a MegaCD and I still love it ! I pretty much loved the SegaCD for it’s ability to do redbook audio. I remember thinking how awesome Sonic CD’s music was and Pitfall: The Mayan Adventure also had some pretty good music. I never had a SegaCD and I’m kinda glad I didn’t because I don’t think it would have been a good investment since I liked the SNES much more. As far as Genesis add-ons, I bought a 32X and I can’t say I feel too good about that, heh. There are a plethora of great games and obscure games on the Sega CD, including Panic! I wouldn’t count out the idea of more Sega CD coverage for the site. I enjoy SEGA CD, always have, always will, and I do not have autism. I have one (got it cheap at Goodwill years back) but I only ever played Vay and Sonic CD on it. i want a sega cd! It’s comments like these that make me wonder if the general public even knows what autism is. Awful? That seems pretty harsh. I was talking about N64. To be fair, I was never an SNES kid, despite “Link’s Awakening” and “Super Mario World” being favorites of mine. So I can’t really speak on SNES. But N64 is fantastic. There were way too many solid titles for me not to believe it was the best. N64 also made multiplayer something of actual value, rather than as a weak peripheral function of a game. I have way too many good memories of N64 to think of it as anything less than the best. The N64’s library is my main complaint with it. It got maybe two or three good games per year. Sure, it had undeniably great games like Ocarina of Time and Mario 64, but those games were the exception rather than the rule; most of the system’s games were crap. Over ten years later, my shelf of leftover N64 games takes up maybe half a shelf, whereas the PlayStation games still take up almost three shelves. The PlayStation had the superior library by far. The Mega Drive maximum cartridge size is 4 MB, not 24 MB. Even if you meant 24Mbits, that’d sum up to 3 MB, and Sega allowed for 4 MB cartridges. That line in the article was referring to the size limitations of the disc storage, not the cartridge size. That said, the flat for all Sega CD storage was probably just 500MB, and developers could opt to size down the total space of the disc by their own leisure. Also, I personally was a Nintendo and Sega kid, though I most noticably preferred Nintendo. My N64 library was probably the most diverse, barring complications with my personal life as today I own over 40 games for it. Yes, there are that many that range from good to decent. I was a Nintendo kid as well, and that’s the main reason the N64 was such a disappointment to me. After the undeniably incredible SNES, the N64 was heart-breakingly underwhelming. I’m sure there were plenty of decent games for the system, but the N64’s library was nothing compared to the SNES’. It had maybe four games that I still play: Majora’s Mask, Ocarina of Time, Super Mario 64, and Paper Mario. It had pretty much no new, original games; everything was either a sequel or spinoff. Which isn’t inherently a bad thing, but the PlayStation was the birthplace of so many great new games… Vagrant Story, Resident Evil, Parasite Eve… plus the fact that Final Fantasy moved to Sony really hurt the N64 for me. And need I mention how awesome Metal Gear Solid was? Long story short, the PS library was leaps and bounds above the N64’s.